The .22 rimfire handgun will never look the same. The P22 changed everything. Walther adapted the tactical styling and Performance Design concepts from our centerfire handguns and applied them to the .22 L.R. This created a new movement in the design of contemporary rimfire handguns ... and an explosion of imitators. 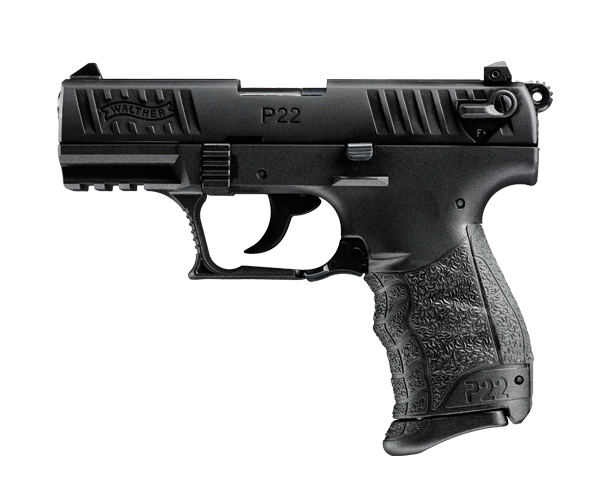 As a stylish, fun gun to own, the P22 is at home on the shooting range, around the camp or in a museum of modern art. Front and rear slide serrations for non-slip operation. Paddle-style ambidextrous magazine release lever.